SoftPlanet makes it possible for everyone to get free OpenOffice download directly from our servers. There is no registration needed for downloading. 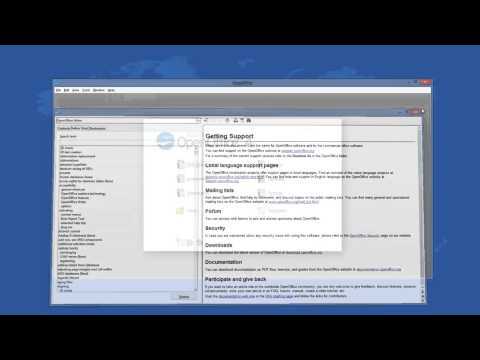 OpenOffice.org is compatible with any PC running Windows 2000, XP, Vista, Windows 7 or 8. It requires 1.5 GB of free space, 256 MB of RAM and a Pentium III CPU or higher. 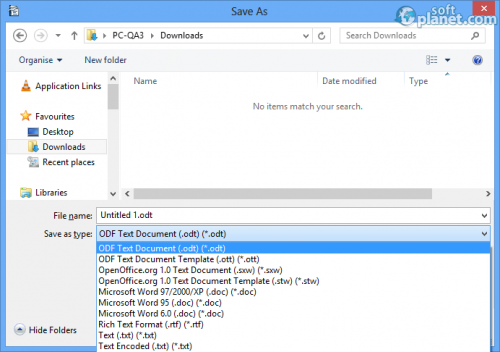 It can be set as a default application for MS Office file formats. It is a powerful applications package. The different modules have unique names like: Writer – a MS Office Word analogue, Calc – an Excel analogue, Impress – a Power Point analogue, Math – an Equation Editor analogue, Base – an Access analogue. It is the best alternative for any office, home or business user, who wants to stay away from Microsoft products. Apache OpenOffice';s latest update is a major one. The 4.1.1 version comes with a few new features, several improvements and much extensive language support than ever. Now Comments and Annotations are available on text ranges. The developers have added a iAccessible2 support too. Some of the enhancements you get with this new release are in-place editing of Input fields, an interactive Crop function, importing images from File, Graphic Data drag and drop support, etc. The new languages supported by Apache OpenOffice are Catalan (ca), Catalan (Valencian RACV) ca-XR), Catalan (Valencian AVL) (ca-XV). Actually, you get two new dictionaries as well - Catalan (ca), Catalan (Valencian RACV) ca-XR), Catalan (Valencian AVL)(ca-XV). In addition, some of the already existing translation and dictionaries have been updated too. 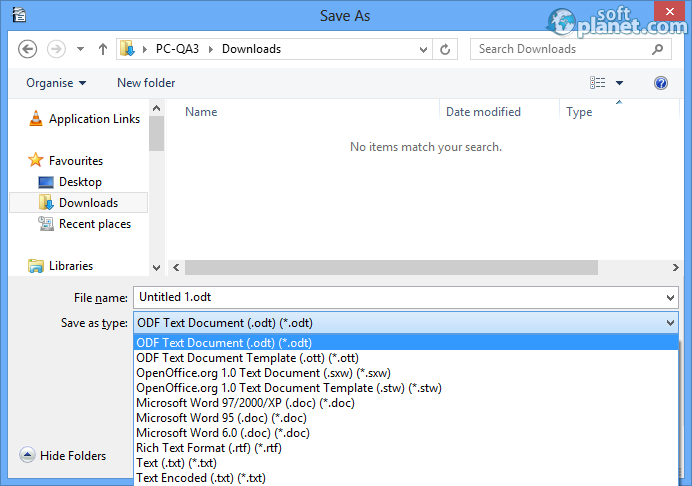 OpenOffice.org works with all MS Office formats like docs, xlsx, pptx etc. It has full help support and language support is excellent. It has an integrated PDF file export and files can be sent to e-mail clients as Open Office, MS Office, PDF or HTML documents. There is a drawing application called Draw for 2D and 3D drawings for beginners and advanced users. The list of templates is not too long but many more can be easily downloaded from the web. On one side the OpenOffice.org interface looks neat and well-arranged. There is an option to start the base panel which has shortcuts for all the installed components. After a selection is made - users are introduced to an interface very similar to the old MS Office 2003 view. Maybe that is the best way to present this alternative product to the entire users' society. There is a tool-tip menu available to help for faster familiarization with the apps. Most of the functions and icons can be found in the places and toolbar they are expected to be if you have used so far only MS Office apps. Working with all the tools OpenOffice.org offers is very simple. Just like any other text, formula, data or drawing software, this program can be used to complete any user task quickly and reliably. Basically everything that we do with MS Office can be done with the same success here. Keep in mind, that only shortcuts, not assigned yet, can be used, or they have to be reassigned in order to be customized for another function. Apache OpenOffice 4.1.1 is still probably the most popular substitute of MS Office. Actually, it might be the best one too. Its latest version is even much better than the previous ones. Now it offers more extensive language support and more dictionaries than ever before. Some of the new improvements and features to the latest release of the software make it very intuitive, especially the Graphic Data Drag & Drop support. Since this office suite is 100% free of charge, you can download it right away and start creating editing document, presentation, etc freely. Please feel free to share your observations with us within the Comment section down below. Our security scan shows that OpenOffice is clean from viruses. The current version of OpenOffice has been scanned by our system, which contains 46 different anti-virus algorithms. That ensures that OpenOffice 4.1.1 is 100% safe for your computer.